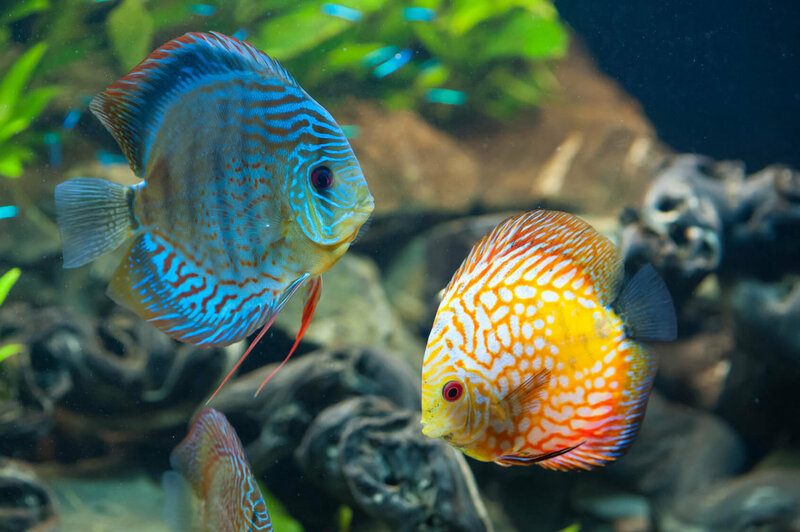 6 million tropical marine fish imported into the United States each year for the pet trade have been exposed to cyanide poisoning. The destructive practice of cyanide poisoning in places like the Philippines and Indonesia that supply the tropical aquarium-fish market in the United States has a dark and dangerous side that ruins coral reefs and devastates tropical fish populations. To catch fish with cyanide, crushed cyanide tablets are placed in squirt bottles filled with seawater. The dissolved cyanide is then sprayed directly onto the reefs near the targeted fish to stun the fish and make it easier to scoop them up. In some cases, 55-gallon drums of cyanide have been dumped overboard to capture fish. As much as 50 percent of all nearby fish are killed on contact, as well as nearby corals. Most of the fish that survive are then shipped to the United States and sold for aquariums. The extensive destruction to reefs and wildlife caused by the saltwater aquarium hobby has been devastating. Animal advocate organizations have petitioned the government to prevent the import of tropical aquarium fish that are caught overseas using cyanide. Under the Lacey Act, it is illegal to import animals caught in violation of another country’s laws. The largest reef-fish-exporting countries — the Philippines, Indonesia and Sri Lanka — have banned cyanide fishing but do little to regulate the practice. The Lacey Act prohibits the import of these illegally caught fish into the United States, but enforcement is lacking. As many as 500 metric tons of cyanide are dumped annually on reefs in the Philippines alone. Animal activists are demanding the National Marine Fisheries Service, U.S. Customs and Border Protection and U.S. Fish and Wildlife Service use their authority under the Lacey Act to halt these illegal imports.